Mohammad Omar Daudzai Umer Dawoodzai Davodzi Umar Daudzai was born Oct. 12, 1957 in the Qarabagh District of the Kabul Province, Afghanistan. He grew up and completed his primary education in his home district of Qarabagh. In order to continue his higher education, Omar moved to the capital city Kabul. After independently fighting against the Soviet invasion of Afghanistan for many years, he finally settled in Peshawar, Pakistan where he worked for the organization called "Save the Children". While working for this organization he went to the Oxford University in the UK for his Masters in Science through a scholarship program. After completing his Masters he came back to work for the Swedish Committee in Jalalabad, Afghanistan. Omar Dawoodzai was also a former member of the Hezbi Islami party of Afghanistan led by Gulbuddin Hekmatyar. Palace Chief of Staff Mohammad Daudzai, Education Minister Farooq Wardak, and former Information and Culture Minister Abdul Karim Khoram are figures with maximum influence over President Karzai's decisions. (20101220). Dawoodzai, the current Afghan ambassador to Pakistan and former chief of staff in president Hamid Karzai’s office is the first major political figure to declare his intention to replace the President as Afghanistan’s leader. Dawoodzai has said he is preparing to launch his campaign for the presidential elections due 2014. In an interview in his residence in Islamabad, Omar Dawoodzai said he would campaign on a manifesto of maintaining good relations with the West, anti-corruption reforms, eradication of poppy growing and a shift of power away from the group of ageing former warlords who have run the country since 2001. 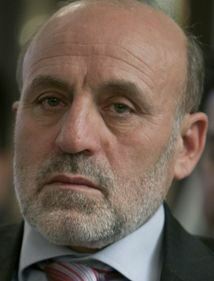 Omar Daudzai was confirmed by Wolesi Jirga as Minister of Interior 20130925. He speaks Pashtu, Dari and English. Omar Dawoodzai, the current Afghan ambassador to Pakistan and former chief of staff in president Hamid Karzai’s office is the first major political figure to declare his intention to replace the President as Afghanistan’s leader. Mr. Dawoodzai has said he is preparing to launch his campaign for the presidential elections due next year. In an interview with The Times in his residence in Islamabad, Omar Dawoodzai he would campaign on a manifesto of maintaining good relations with the West, anti-corruption reforms, eradication of poppy growing and a shift of power away from the group of ageing former warlords who have run the country since 2001.